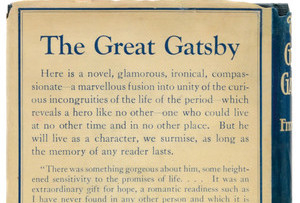 A business lesson from literature: there are pitfalls to focusing blindly on developing a personal brand, just look at The Great Gatsby, argues professor of business David Bruce Allen. Think that in order to succeed in business, individuals need their own 'brand equity' or what some like to call a 'personal brand'? Not so. As fans of F Scott Fitzgerald's book will know, Gatsby tried this and crashed. He didn’t see that the reputation of an individual depends on his relationships with other people. If you treat a person like a product, you are playing a dangerous game. Products don’t think or feel and don’t have goals. Products are easy. You can create a luxury brand identity like Gatsby did, but not for Gatsby the person, but Gatsby the product, and the people who know Gatsby won’t give a damn about Gatsby the product. Personal branding comes in three categories. The first is the Jay-Z / Beyoncé type of branding where the product is some representation of you that provides a reputational advantage for your product. This comes with inherent risks, principally confusing the product with the self and making a Michael Jackson mess of it. One would hope that Beyoncé calls Jay-Z 'Shawn' at home. The second category is Gatsby’s routine. You brand yourself around what you have – in this case, money and a certain 'meretricious beauty' (Fitzgerald’s phrase) – and use this brand not to sell a product but to sell yourself for something you want. Gatsby wants the girl, the girl is impressed by money, Gatsby shows off a lavish lifestyle to prove he has the money… And so on. This works if you’re right about the product you've created. Gatsby, I am afraid, got it wrong. The girl wanted old money, not new money. He hadn't got the product fit quite right. The third category of personal branding is built on clichés out of self-help books with numbers in the title, followed by the words 'habits', 'way', 'laws', 'tools' and 'forces' - may they be with you on the road to success. This benefits only the writers of the books, sometimes called 'gurus' or 'inspirational speakers'. The Jay-Z / Beyoncé deal is good business, but dangerous to the self. The Gatsby approach is silly because the person a Gatsby is trying to please may want something else, which leaves Gatsby with nothing but the personal brand he invented. Finally, garden-variety self-branding is just part of the self-help industry nonsense. It’s less offensive then a cult, but not nearly as much fun. Gatsby, the man, is ordinary. He is not great. For that reason, The Great Gatsby cannot be a tragedy. But The Great Gatsby's merit, its human lessons, are embedded in the contrast between the aesthetic perfection of Fitzgerald’s work and the meretricious beauty of the world he describes. Gatsby, Fitzgerald tells us, 'sprang from his Platonic conception of himself.' He was all personal brand and no person. Professor David Bruce Allen is dean of the Faculty of Business, Economics and Law at the University of Surrey.